Values are the things that you believe are fundamentally important in the way you live and work. They are the foundation upon which your Self is built. They shape how you see the world and act as an internal compass that guides you in life. They shape how you interact with others.They determine your priorities (whether you’re conscious about it or not), and they shape the choices you make. They are the measures by which you judge yourself and they’re also the measures by which you judge others. When your actions are coherent with your values, you feel peaceful with the choices you make even if the outcome of those choices is not positive. When some action or decision is not aligned with your values, you feel conflicted and remorseful. Why Find Your Core Values? This might seem like a rhetorical question, but in fact, it is quite important to understand the power and importance of core values. They are your foundation as a person, guiding your actions and your decisions. The stronger the foundation the better and greater the person you will be able to become. We all have a set of values that we follow, the difference is in being conscious of them or not.There are a few techniques that can help you get to your core values. 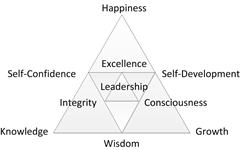 One such technique is called Value Elicitation Triangles (VETs). Using VETs is quite simple, but to really get the most out of this exercise it requires some deep self-reflection, so I’d suggest you set aside some quiet time for this. Make a list of values, life concepts, humanistic characteristics that are important to you. Note down everything that occurs to you. Feel free to consider all the various dimensions of your life (e.g. Work, Health, Family, Money, Spirituality and any others). I know that it isn’t easy to come up with these topics, so here’s a simple list to get you started. Don’t restrict yourself to these and really try to come up with some of your own. From the list you compiled, select the 3 most significant values and place them in the vertices of a triangle. Repeat step 3 until you run out of ideas, start to repeat yourself, or end up with the same value in more than one edge of a triangle. 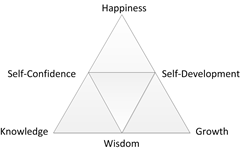 In the center of the final triangle write down the Value that relates all three values/concepts in its edges. This is your core value. The one value that matters the most to you as a whole. What do these values mean to me? How do these values relate to each other? How do these values manifest themselves in my daily life? Are the choices I do on a daily basis coherent with these values? How can I use this knowledge to improve my relationships and the way I approach new challenges? Having become conscious of your core values, how can you answer the questions above and incorporate this learning into your daily life? Use these values to build a code of conduct by elaborating on each of the core values. Following the example above, think about how would you manifest “Integrity”, “Consciousness” or “Excellence”? Review these values and your code of conduct regularly until you have integrated them into your daily life. 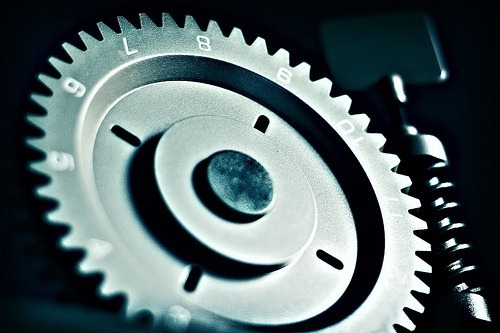 It might take some time until you have your core value structure stabilized. The richness of human nature is in it’s adaptability and it’s constant evolution. Also it is not uncommon for life changing events to upset core value structures. So, review your core values and your code of conduct to reflect any changes that might have occurred. 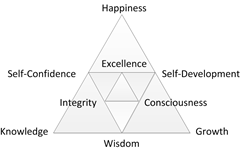 Understanding and being confortable with your core values might be a transformational process. When you consider your values in decision making, you keep your sense of integrity and approach decisions with confidence and clarity. You’ll also know that what you’re doing is best for your present and your future. Making value-based choices may not always be easy, but it’s an essential part of your individual and professional growth.